It’s only a matter of weeks before the latest instalment of Star Wars – Star Wars Episode VII The Last Jedi – pops up on cinema screens, but we have to admit we’re almost as excited about these toys based on a character from the film. 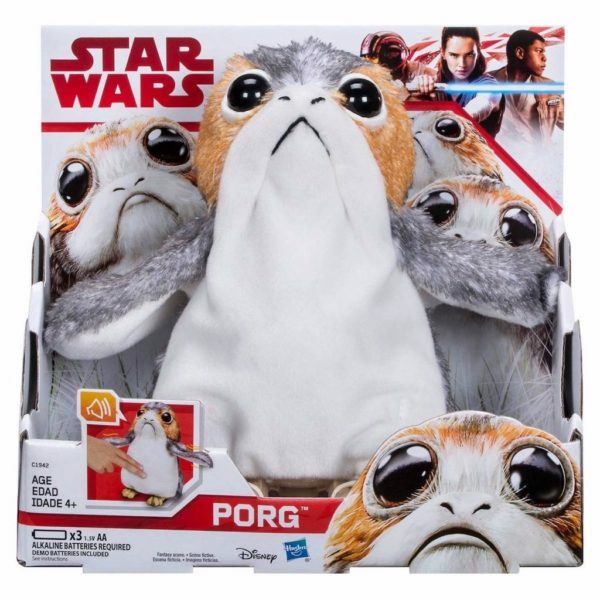 December 17 is the release date for the newest episode in this enduring and beloved franchise, but you can snap up your very own Porg right now, and get limbered up ahead of time! At first glance, we figured Porgs were kind of like the Star Wars version of the much-loved puffin. They’re small, flat-faced birds and they live on the cliffs of Luke Skywalker’s Ahch-To Island. Generally they’re roosting amidst the rocks, but they also like to get up to a bit of mischief too. 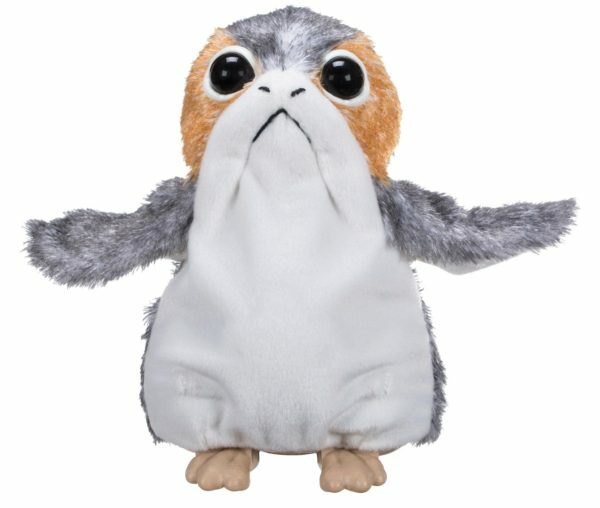 “Imagine the Porgs scuttling around their island home and spying on Jedi Master Luke Skywalker with this waving, wadding, flapping, chattering Porg plush!” maker Hasbro says. We are imagining it, Hasbro, and we like it a lot! Puffins and Porgs and Porglets, oh my! These squishy, furry, giant-eyed avians have a life of their own, thanks to a few batteries and some clever design. They wave, flap their arms, tweet, chirp and motor about being adorable and making us helplessly covet an entire collection of these cute creatures. Confirming our suspicions, character creator Lucasfilm says the Porgs are based on the famous puffin. “Porgs are native to Ahch-To, and can be found dwelling along the cliffs of the island where Luke and Rey are. In many ways, they’re the Star Wars version of puffins. They build nests. They can fly. Their babies are called Porglets,” Lucasfilm Story Group’s Pablo Hidalgo explains. Luckily you don’t have to wait for the film to come out to get a little bit of Porg in your life. They’re available right now from major retailers and cost around $80AUD each. These are so cute, we’d advise you to snap one up before they sell out and turn up for $1000 a pop on eBay!